Last Saturday was a day for grazing – firstly with NOM‘s Memorable Banh Mi at Kirkstall Deli market, steadily working my way through Dorshi, Bundobust and Grub & Grog Shop at Veg Out, then finally onto dinner at Noodle House on Merrion Street!!! Haven’t heard of Noodle House? Neither had I until it caught my eye last week. 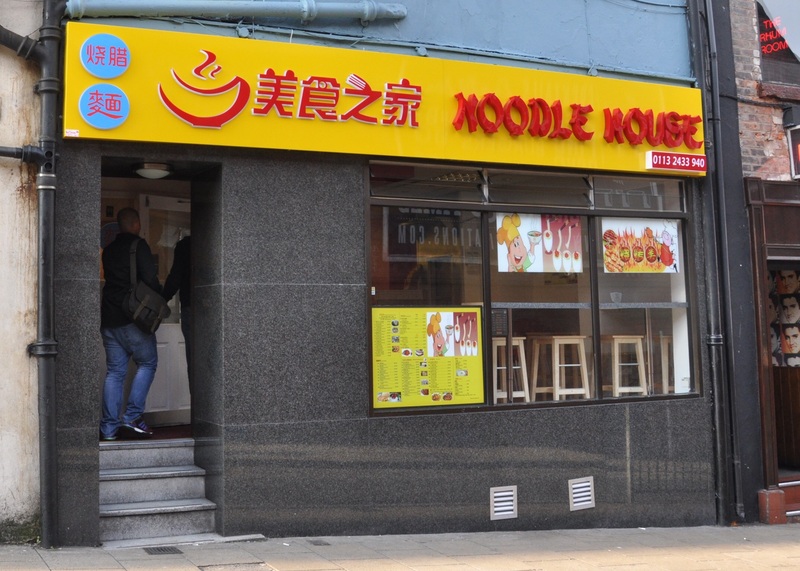 Being the type of person who feeds off visual stimuli, I’d spotted a canary yellow sign that I knew wasn’t there the last time I walked past, taking a closer look I saw it said Noodle House and my eyes lit up…..an Oriental NOODLE HOUSE, YAY!! I pointed it out to my friend Alice like a giddy school girl, and as I was eager to know more we took a look at the menu. 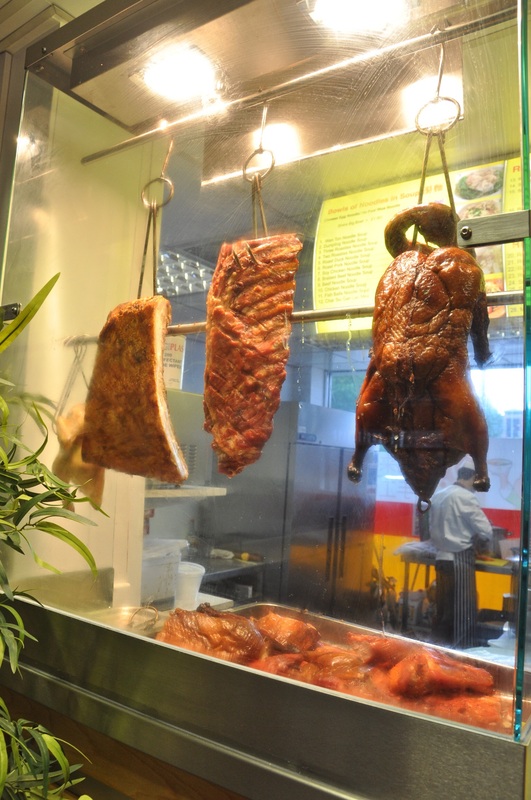 The first noticeable thing when looking in was Peking Duck and Roast Belly Pork (one of my favourites) hung up like they do in traditional China Town restaurants. On any Chinese menu I look for certain items; dim sum, this wasn’t that type of establishment (shame), Beef Ho Fun and Roast belly pork…ticks on BOTH counts! I went home that evening with the thought of trying both in the very near future! So as Saturday evening arrived the other half and I had planned to meet a friend, with the Noodle House as the chosen venue. Choosing food off the menu had never been so speedily done and when it came to ordering, it’s refreshingly basic – all orders are taken from the counter which links the kitchen to the dining room. Nice and simple. 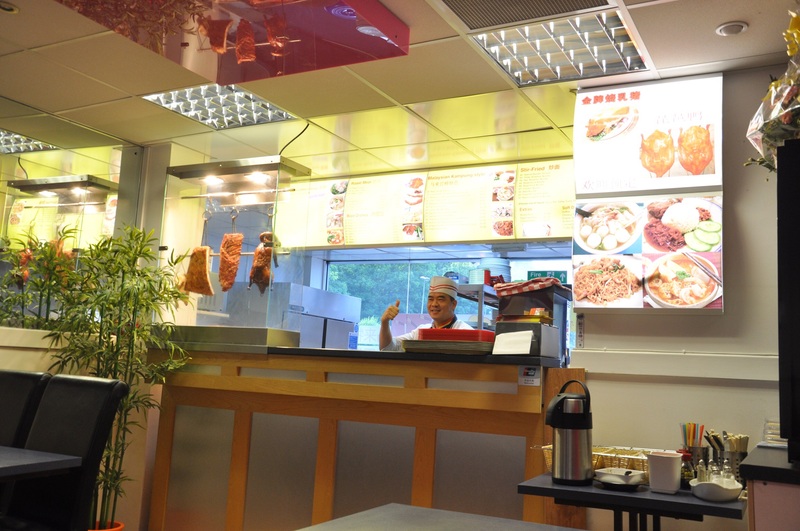 The menu is divided into noodle soups (£4.50 -£4.80), roasted meats (£5 – £16), rice and meat combos (£4.80 – £5.80), Malaysian style dishes (£5.80 – £6.50) and stir fried noodles £5 – £6). Larger groups could even feast on suckling pig (£122)! 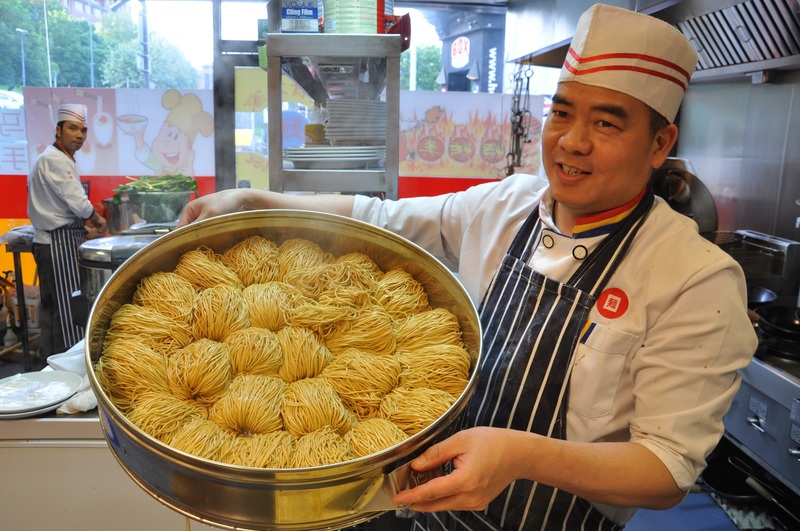 With egg noodles taking a big up decent chunk on the menu, it was good to know they make three versions in-house, two made with spinach and carrot. The informality continued as we helped ourselves to cutlery and condiments, with both soy and chilli oil available. I really liked the relaxed, informal feel of the place. The wait between ordering and food collection (from the counter) was short, the chef calls the dishes out and you go and pick them up. First up was the other half’s belly pork with rice, he was a little quick to order a large portion of pork with a side of rice, instead of the belly pork and rice combo. So when I brought it over he was a little surprised as the portion was pretty hefty and definitely enough for two. At my parents house we’d share this, amongst a whole host of other dishes!! Roasting their belly pork every day means freshness and juicy meat, it’s then hung up, carved to order and served cold. Even though it was served cold the fat was crisp and wasn’t too salty which I liked. 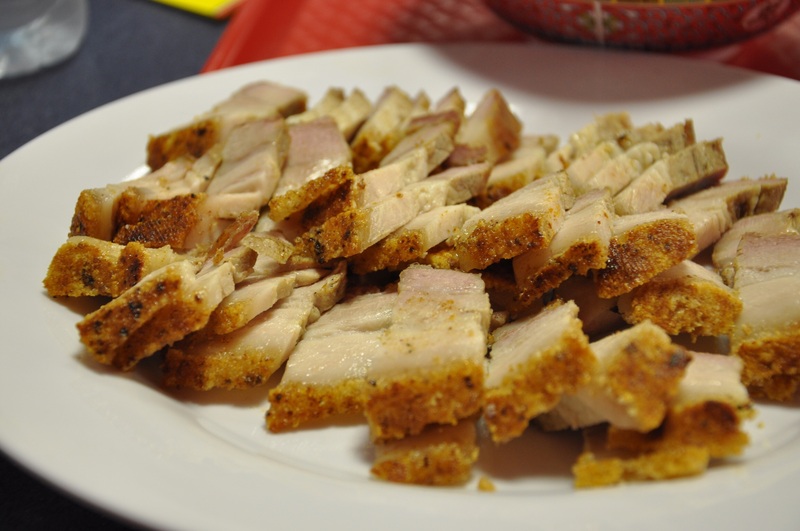 The characteristic layering of fat/meat/fat immediately got me thinking of my mother’s yummy homemade roast belly pork. My Beef Ho Fun is the dish I ALWAYS order when I go to a Chinese restaurant. It’s a dish I’ve eaten since childhood, because my parents would order it every Sunday when we visited our favourite Chinese restaurant for yum cha. 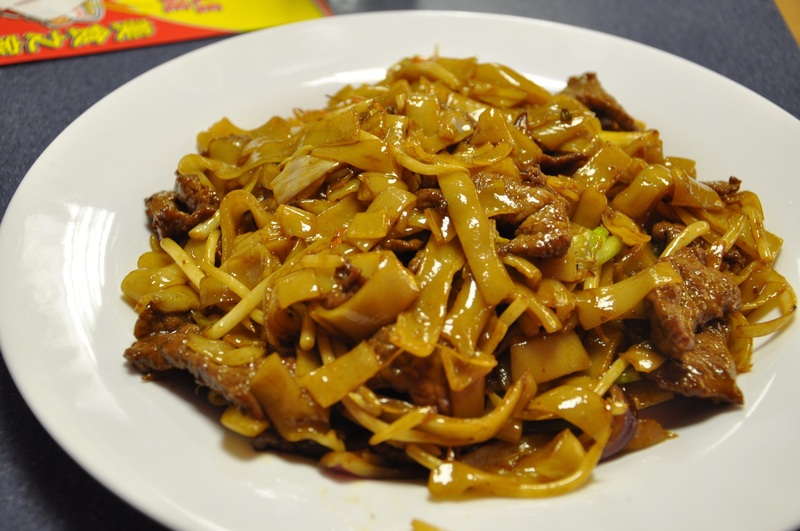 I love the succulent strips of beef combined with slippery rice noodles, which are oily, but the dish wouldn’t work without this slipperiness. Also cooked with a little red onion which was new to me, but I liked the mild sweetness it gave. A really enjoyable dish. If I can tear myself away from my favourite dishes I’ll try the noodles out next time. 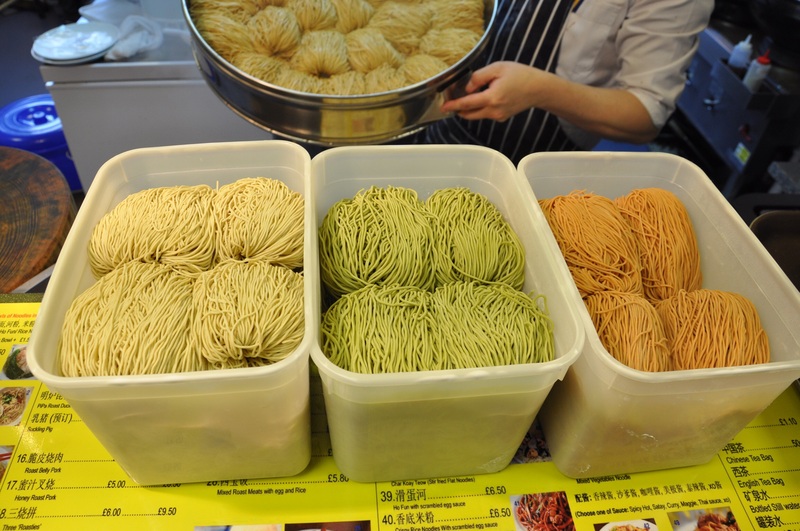 It’ll have to be Wanton Noodle soup, so I can compare to my own. Also I’l be looking to try their Chinese tea, which is my usual tipple. For two people – food and three soft drinks came to £20, including a tip. 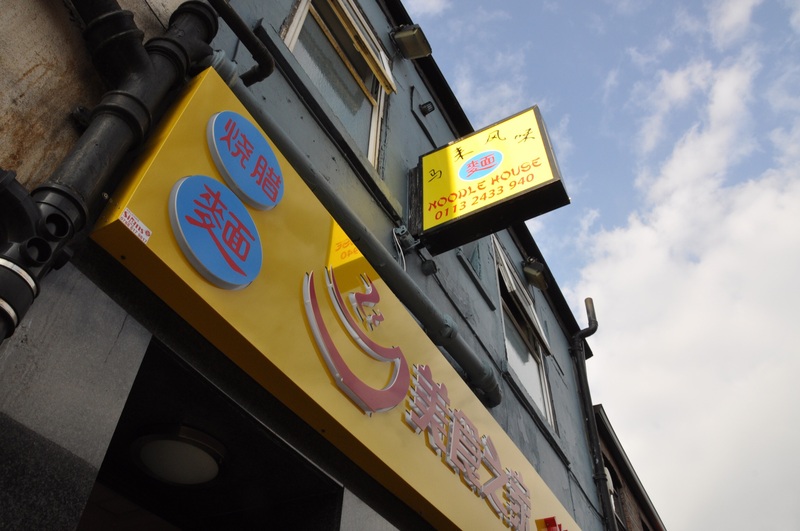 The opening of Noodle House just adds to the resurgence of the city centre’s Northern Quarter. With the news of making Merrion Street, which is usually a rat run into a pedestrianised street, it’ll hopefully encourage more of an community culture and environment. Even though I use the road a lot when driving through town myself, I , like many others will have to plan out my journey with a little more thought. What’s your opinion on the Northern Quarter and the plans for pedestrianisation? Love this place, such a hidden gem. 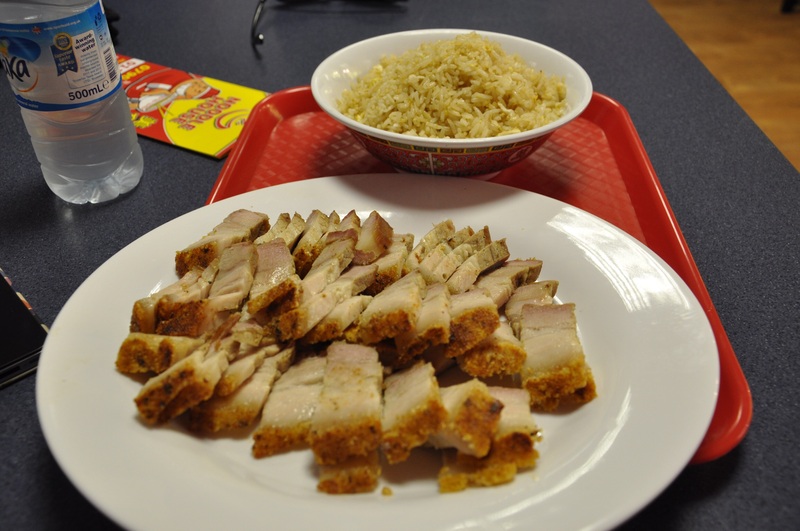 Be sure to try the char sui pork too.